This Shoulder Strap Pad will help you keeping out from suffering with heavy load on shoulder, which is Balancing and reducing your shoulder weight pressure. Several air rooms connect to other room, when weight be pressed on room then flow to other to generate life up force to offset down force from your carrying. This is made of quality material with rain and water proof and resistant and also slip resistant surface texture on the side to contact with your strap, in order to keep our pad not slip around. 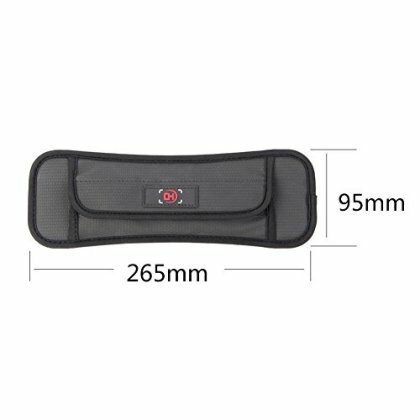 This is for single shoulder strap Pad and by using velcro for all kind of area such as single shoulder bags, guitar strap, camera strap, weeding machine strap and more and more, which could use your imagination to think of where you need the most. All come with 6 months warranty when you received them.